Thick braids (braids that are large in diameter) are also known as dookie braids. These braids are not braided to the scalp like cornrows, instead, they hang freely. 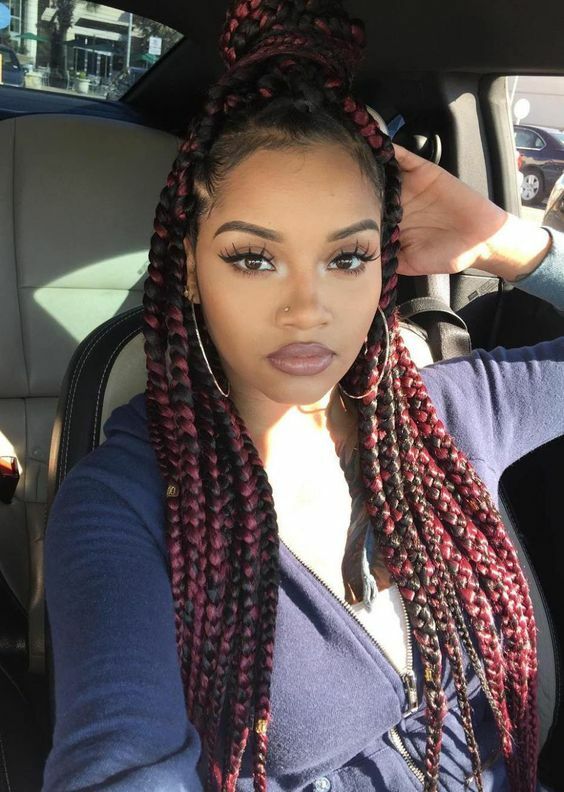 Dookie braids became popular in the 90s and continue to be a favorite among braided hairstyles today. Braiding hair can be added for length and longevity but dookie braids can also be created using only your natural hair. 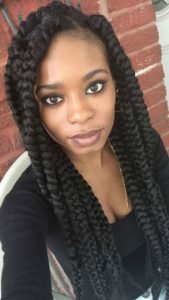 Dookie braids are a popular protective style because they are cute, easy to do, and versatile. They also take less time to install and take down than many other braided styles because the hair is split into much larger sections. 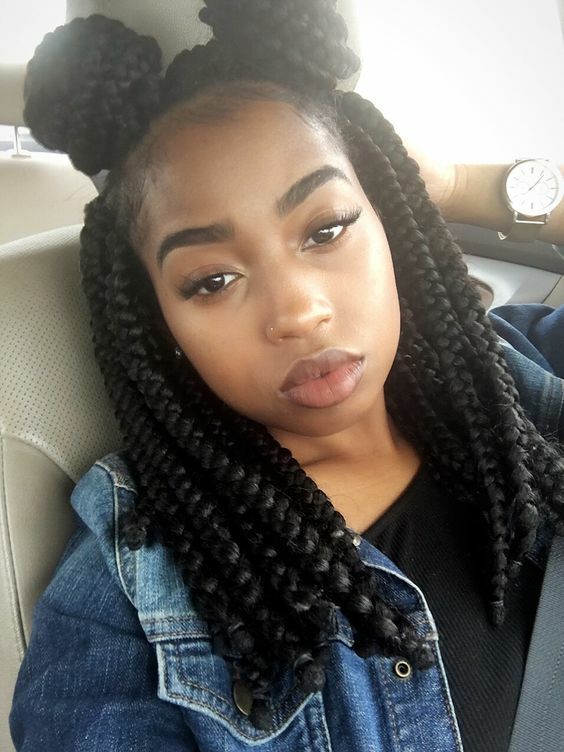 Dookie braids can be done on relaxed, transitioning, or natural hair. One great benefit of dookie braids is that they can put less tension on the roots of the hair. 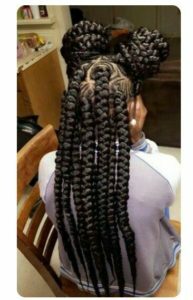 This will, of course, depend on how tight the braids are, how much (if any) braiding hair is added, and how the braids are styled. 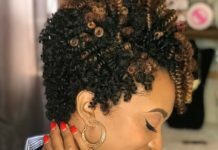 But in general, a larger section of hair may be able to withstand the weight of a braid a little better than a small section of hair. 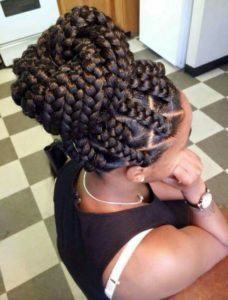 You may also find that dookie braids are easier to do yourself at home because they are less time-consuming. 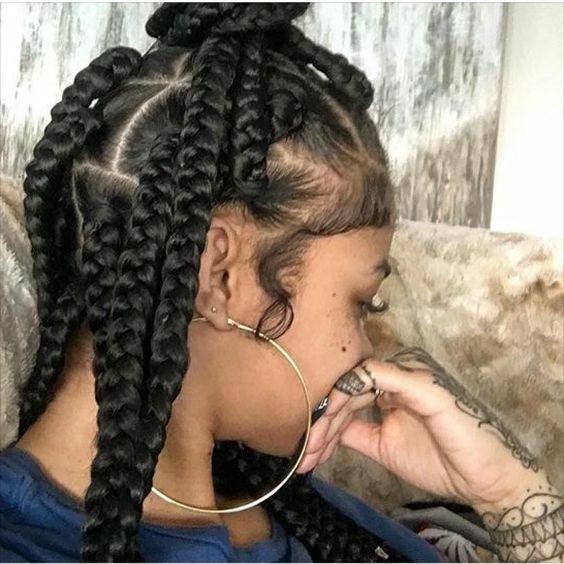 Just be sure to split your hair into equal sections so that the braids are even in size. 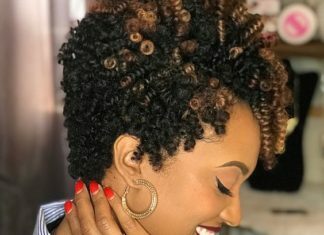 If you choose not to add braiding hair, you can unravel the braids after several days for a nice braid out, stretching the style for a few more days. Here are some ways you can style dookie braids. 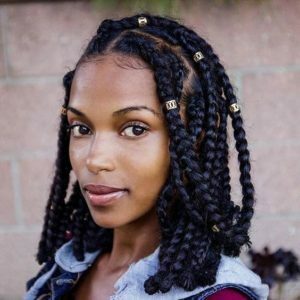 These classic dookie braids are a great, low-maintenance protective style and they are as cute as they are functional. These shoulder-length braids can be done with or without added hair for a fun, carefree look. 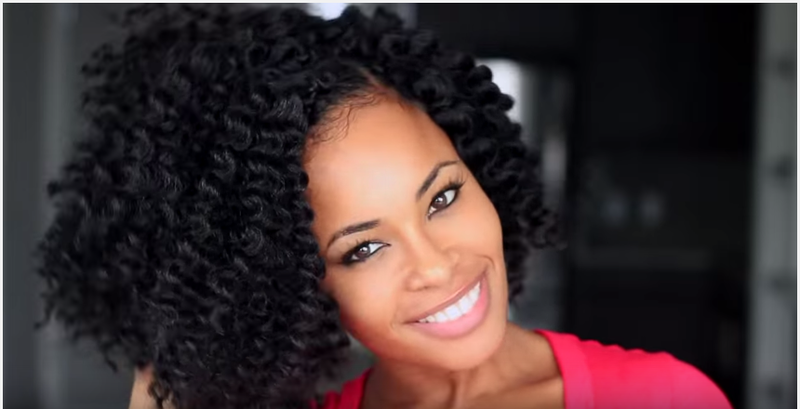 If you do them on just your natural hair, you can add rubber bands to the ends to keep them from unraveling. 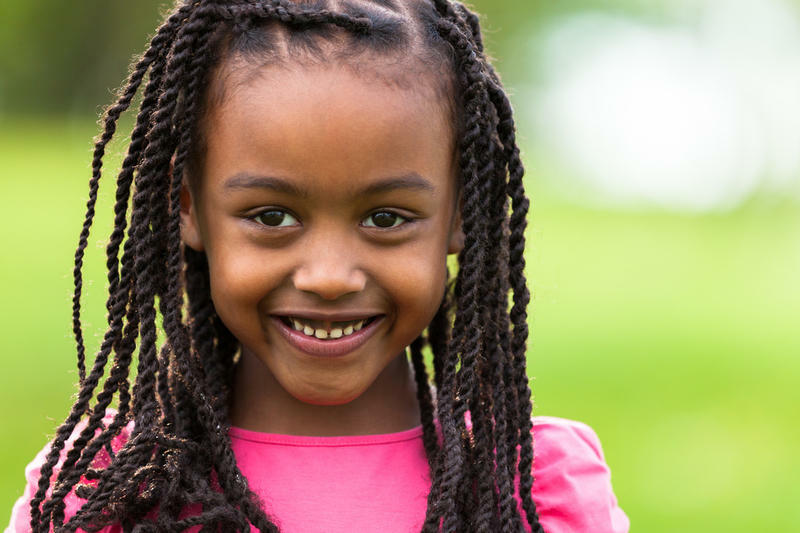 Use ouchless rubber bands to prevent tangles and breakage. 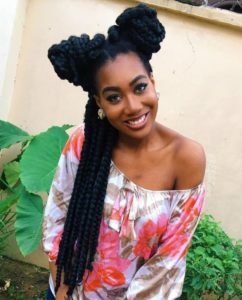 It’s amazing how a few beads and some colored cord can dress up a style. 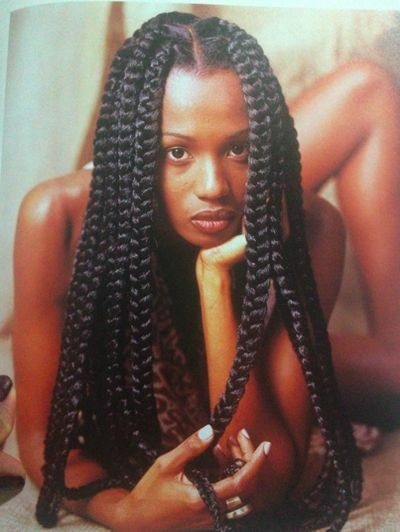 This is one of the many ways you can accessorize dookie braids. 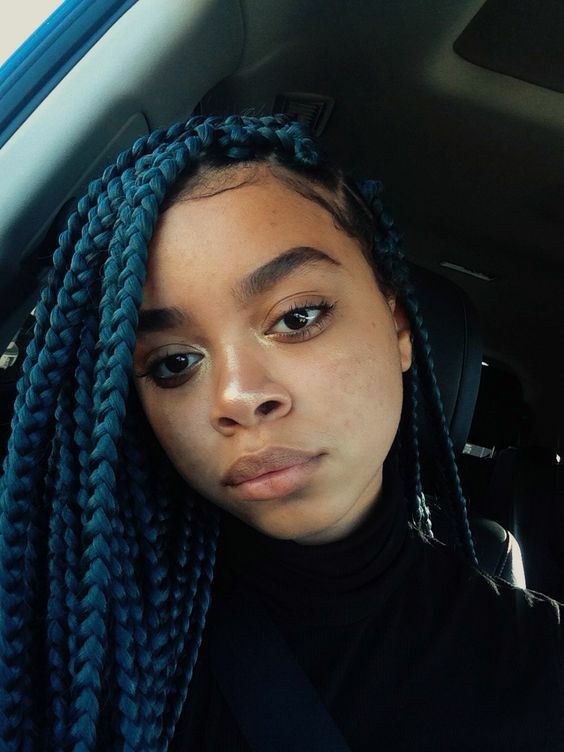 These gorgeous braids are created with blue braiding hair: a great way to experiment the with a new color without making a long-term commitment. 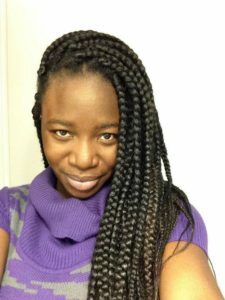 These long dookie braids are a great protective style that can be worn many different ways, like this half pulled back style. 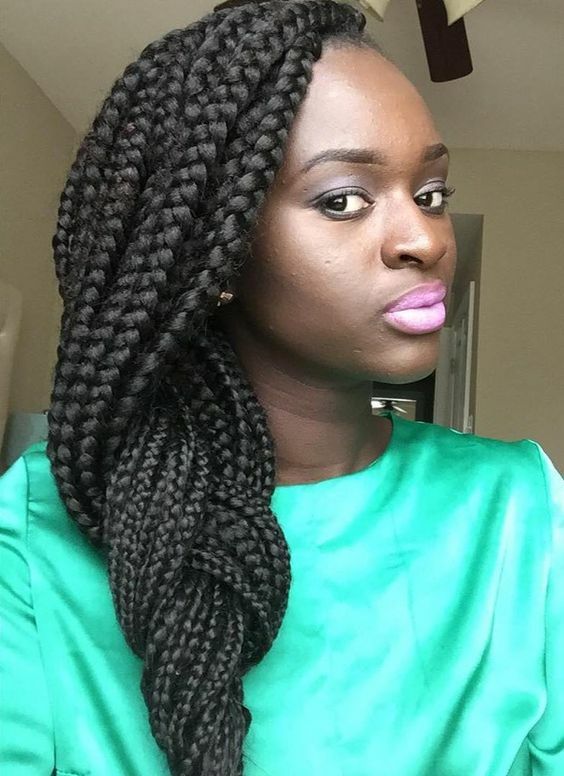 These medium-length braids are a great choice if you want more lightweight braids. 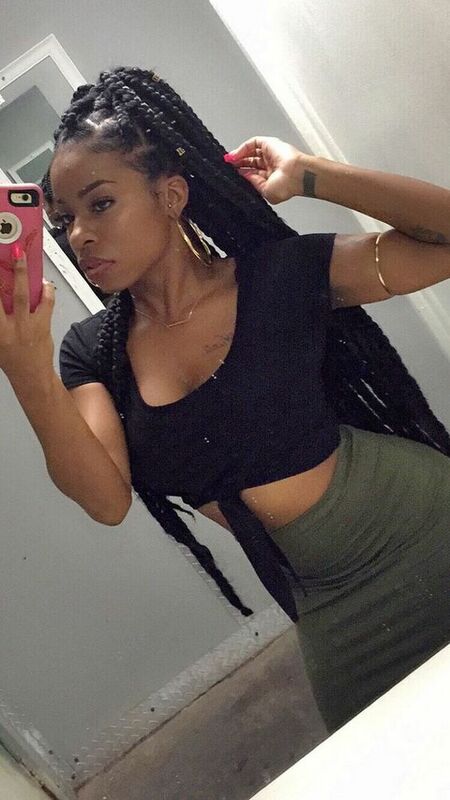 They can be styled many different ways, like this half up half down double bun style. 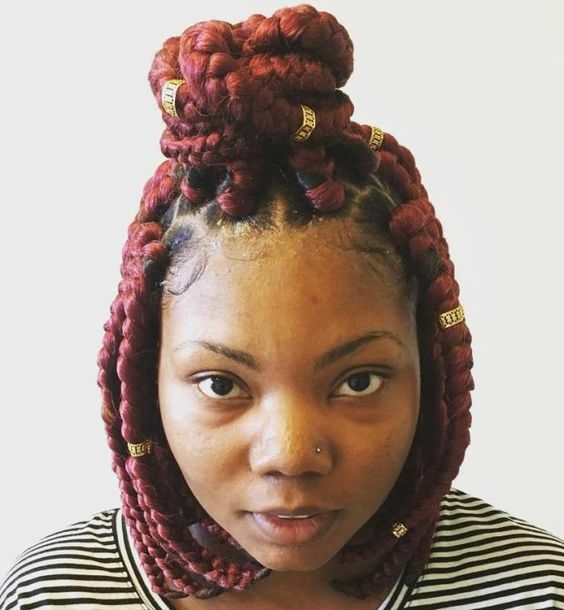 These gorgeous dookie braids are pulled up and wrapped into a high bun. 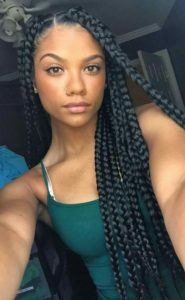 This is a great way to wear dookie braids on hot summer days, while working out, or anytime you want a quick, cute style. Hints of deep purple work their way into this style for a subtle touch of color. 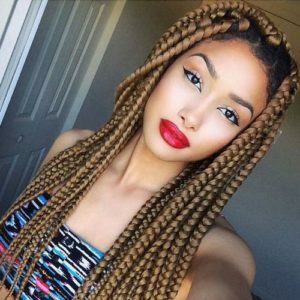 This is a great choice if you want braids with more of a highlighted look. 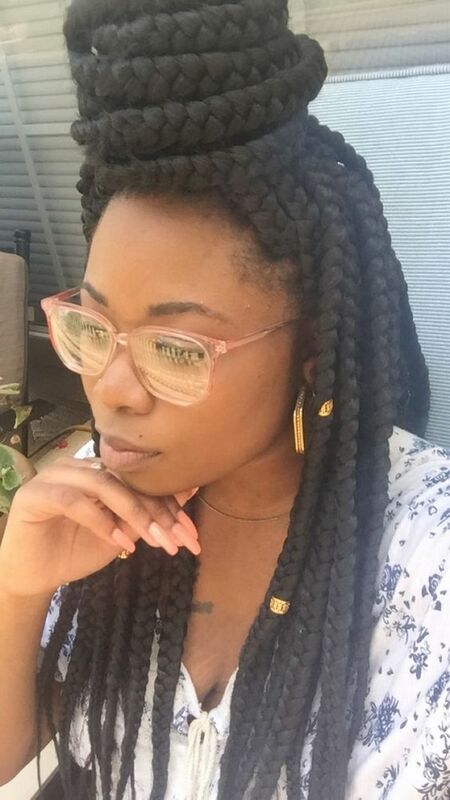 These simple braids are a gorgeous, classic way to rock dookie braids. No frills added, just simple, perfect, neat braids. 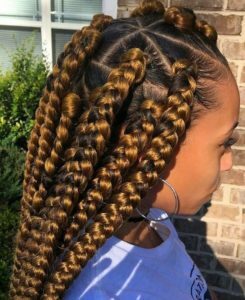 These pretty golden brown dookie braids are a perfect sun kissed look for the summer and all year round. 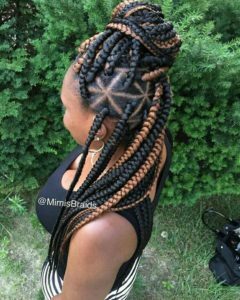 This style shows off carefully created triangular parts in the front. 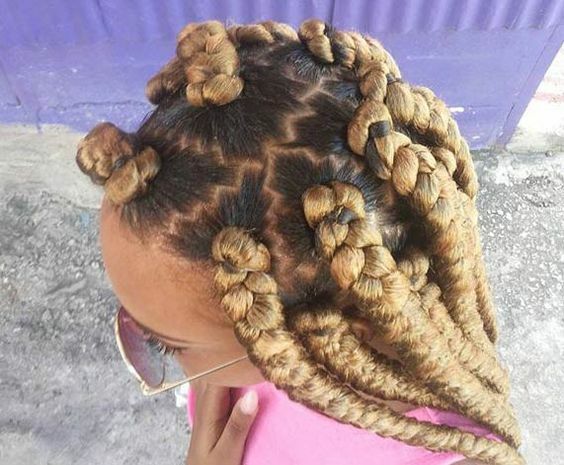 These dookie braids are wrapped into larger than life double buns. 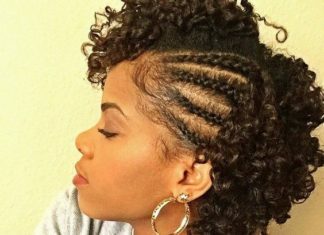 The braids in the back of the head hang over one shoulder for an effortlessly cute look. This elegant style features one single dookie braid that starts at the crown of the head. 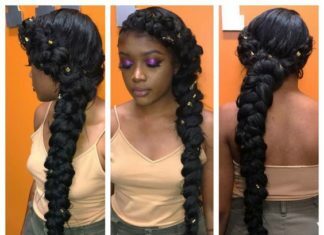 It can be worn straight back, slung over one shoulder, or wrapped into a bun. Double buns seem to be the latest go-to style for many hair types, lengths, and protective styles. It’s easy to see why: they are cute and easy to do. 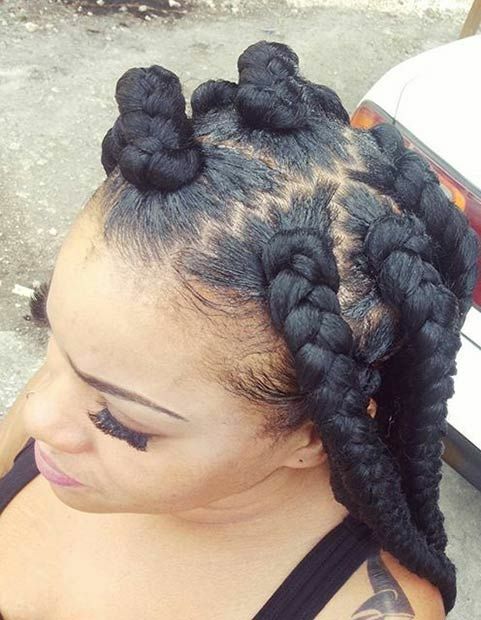 These dookie braid double buns are no exception. 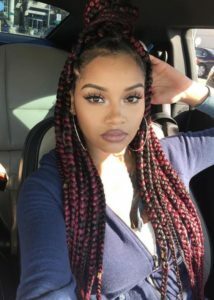 This half up half down style is a gorgeous way to wear these extra long dookie braids. Gold beads are an always-popular way to dress up the style a bit. If you like bold colors, these pink dookie braids may be just right for you. 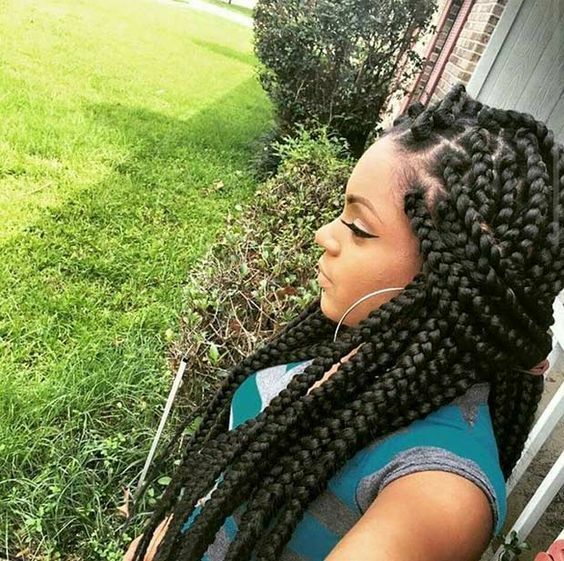 No matter how you wear them, up, down, or in a ponytail or bun, they are sure to turn heads. 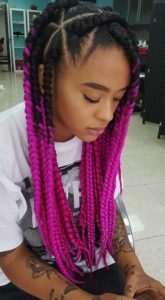 These dookie braids alternate in color for a highlighted look. This half up half down style shows off a cute pattern created by alternating triangular parts. 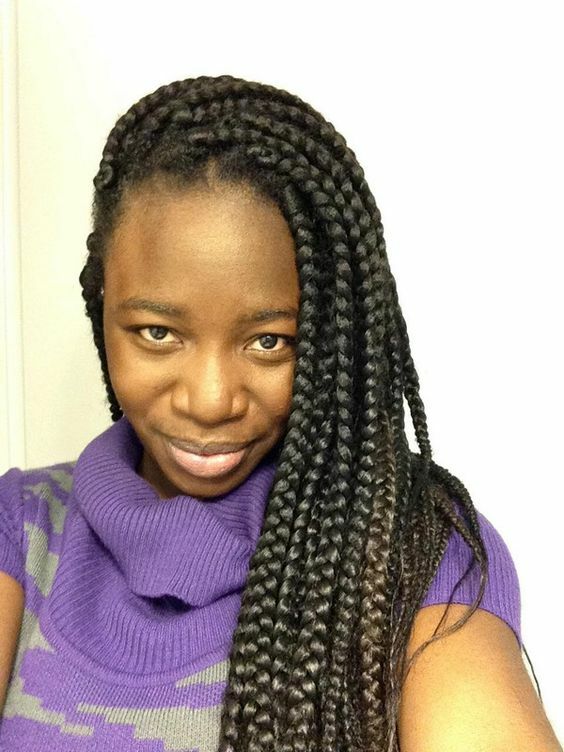 This is one of the simple ways you can rock dookie braids: pulled over to one side. 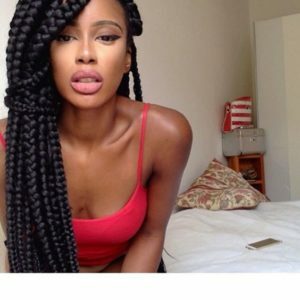 Use one or two braids to tie off a section of hair to keep the braids together. These long dookie braids hang over one shoulder in one loose braid: a simple and cute way to switch up the style. 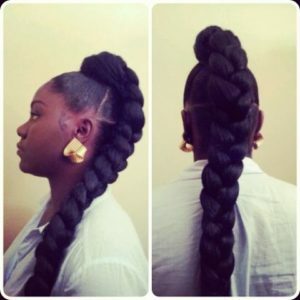 These braids are pulled up and wrapped around into a large high bun: another great way to rock dookie braids. These bob-length dookie braids have a lot going for them: vibrant red color offset by gold beads and a cute and easy half up half down style, proving that braids don’t have to be ultra-long to be styled in cute ways. 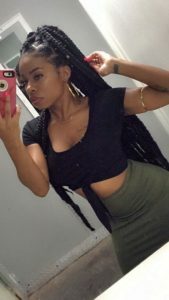 These extra long dookie braids are pulled up into a simple high ponytail for a look that is especially reminiscent of the 90s. 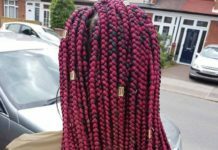 Red and black braiding hair can be used to create this style. 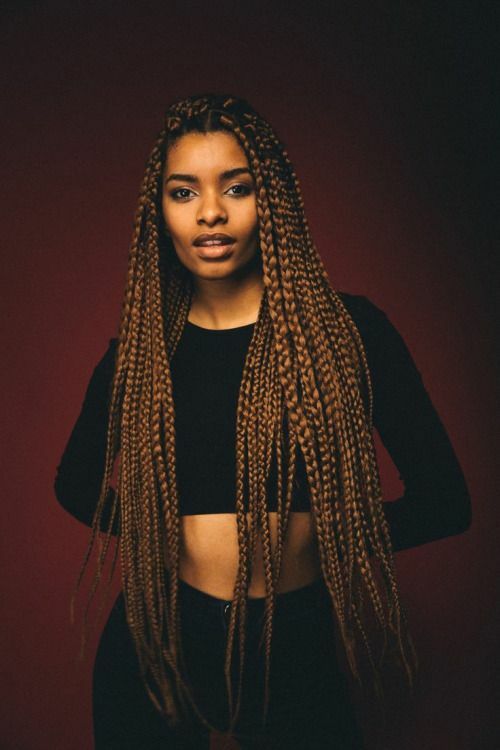 These braids look great styled in a half up half down style like the one pictured here. 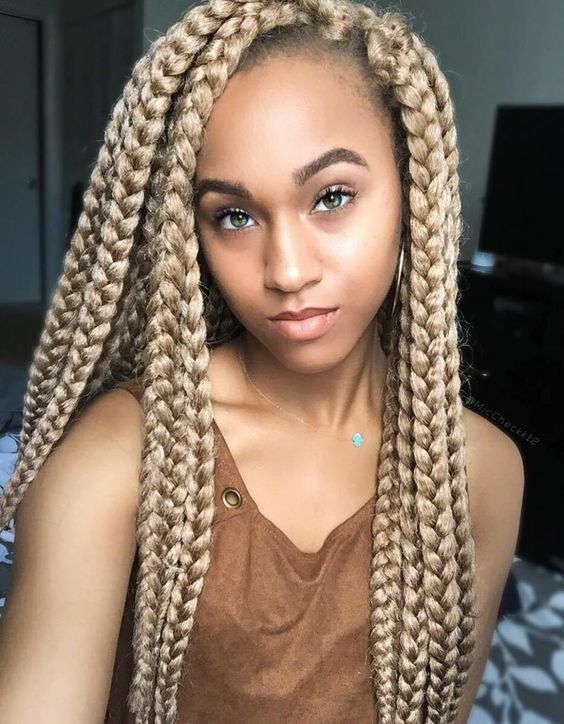 The highlight of this style is its pretty light brown color. These braids can be styled in many ways, but you can never go wrong with a simple side part. 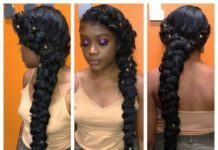 These super long dookie braids are perfect if you want a lot of length to play with. 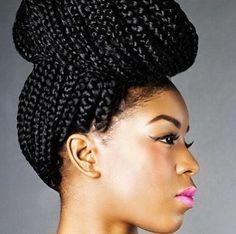 You can create a jumbo bun or wear them down, showing off their length. 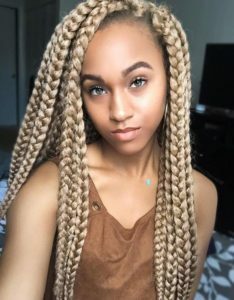 These long blonde dookie braids are the perfect protective style, especially for those hot summer months. 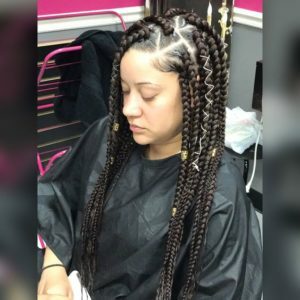 Whether you’re sitting poolside, swimming with the dolphins, or strolling along the boardwalk, these braids are stylish and practical. Zig zag parts are used to section off these extra thick dookie braids, giving the style a little something extra. 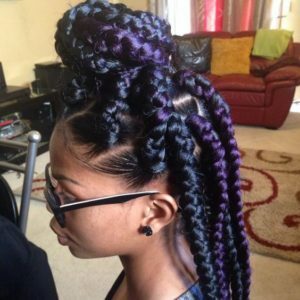 Similar to the previous style, zig zag parts are used to section off these dookie braids. The golden color of the braids contrasted against the dark hair at the roots makes the zig zag parts even more prominent. These gorgeous dookie braids are created using black and hot pink braiding hair for an ombre effect. 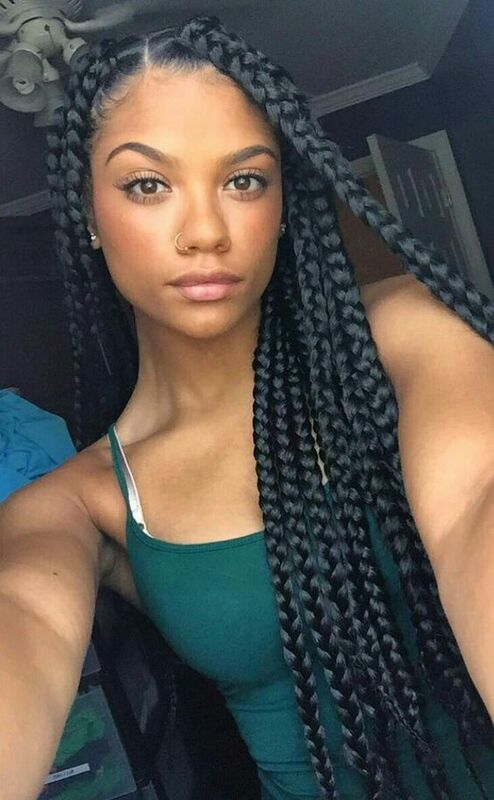 The bright color on the ends and the black color closer to the roots create a nice contrast. 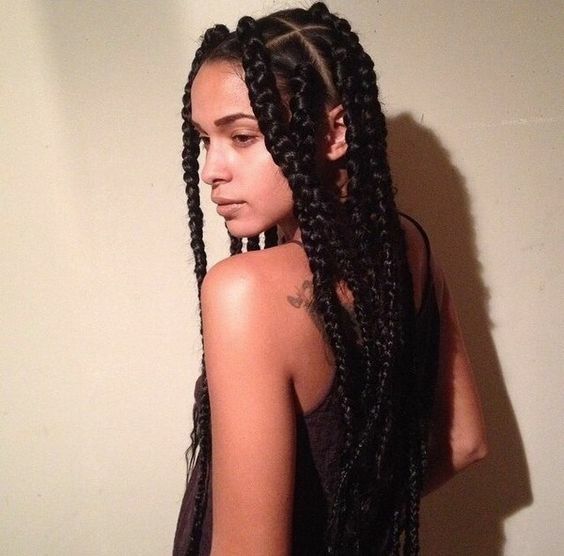 Sometimes you just want a simple, classic look, like these dookie braids with a middle part. It’s a look that is both timeless and beautiful. 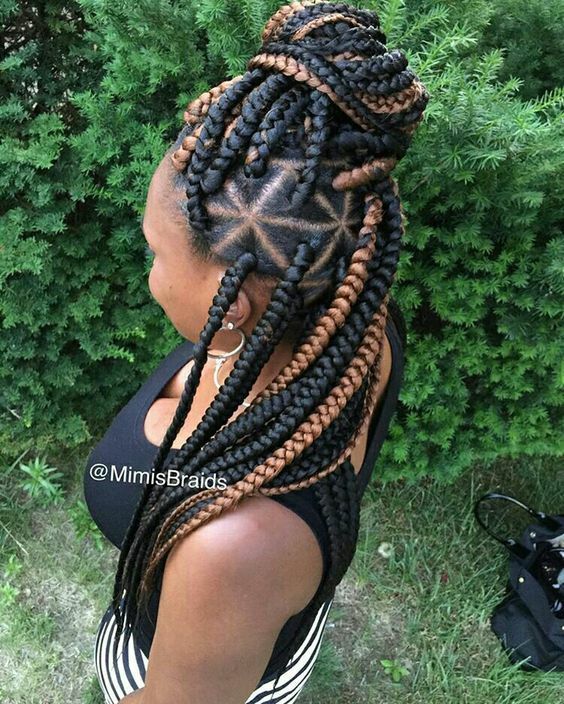 For this style, the braids are divided into two sections. The top half is wrapped around into a bun while the rest hangs loosely in the back. Side swept braids are always in style. This is a great, easy way to style dookie braids when you want to quickly switch up your look. 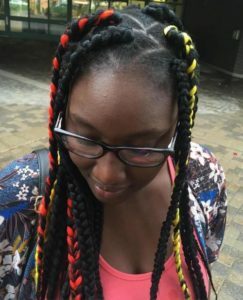 Just a bit of red and yellow braiding hair is added to these simple dookie braids. This is a fun idea that’s perfect for celebrating a cultural festival or national holiday. 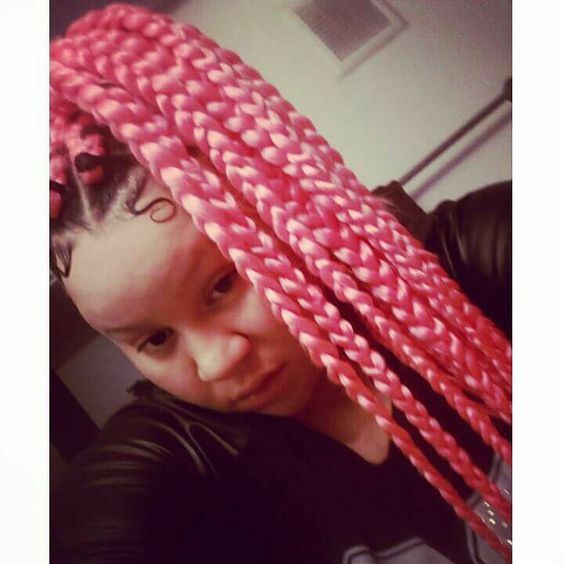 Just match the streaks to the colors of the flag of the country you’re representing. 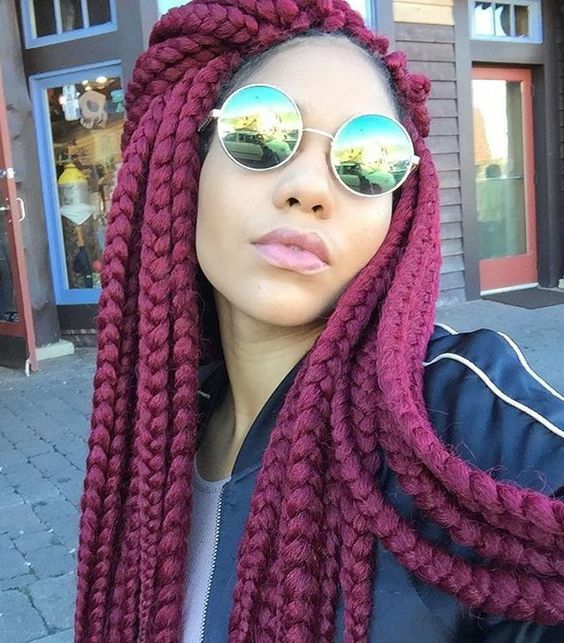 These burgundy dookie braids are great if you want a vibrant color that isn’t too bright. Since burgundy has hints of both purple and red, the shade can appear lighter or darker depending on the lighting. Gold beads have become the hair accessory of choice lately. From Ghana braids, to Marley twists, to box braids, gold beads seem to be showing up in all kinds of styles. But it’s not hard to see why they’re so popular: they look great with just about any style, like these gorgeous dookie braids. 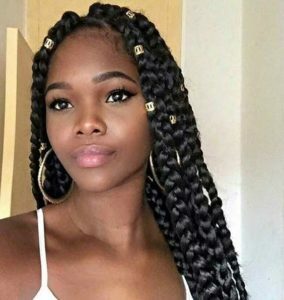 If you want a look that’s a little different from the norm, you can try dookie braids with rectangular parts instead of triangular ones. 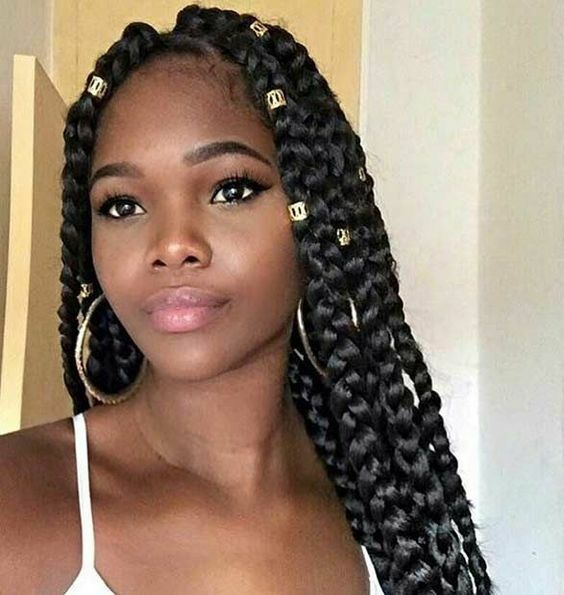 The difference is subtle, but rectangular parts are easier for some people to make and they may allow you to make larger braids.